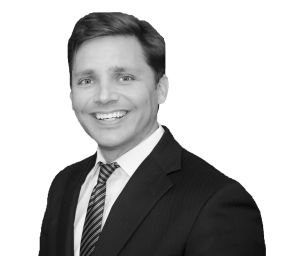 Mr. Oliver’s practice is devoted to representing employers, plan fiduciaries, and third-party administrators in employment and employee benefits matters throughout the United States. Additionally, Mr. Oliver has litigated employment and benefits cases in federal district courts and state courts throughout the country. Mr. Oliver is also a frequent speaker on employee benefits topics. "Burdensome ERISA Document Requests and How to Respond"
"The Gold Rush: ERISA Analysis – Start to Finish"
"The Future of FEHBA Subrogation: New Laws, Same Old Problems"
"Sailing the Rough Seas of Modern Subrogation Health Care: The Top Ten Issues That Cause Decreasing Recoveries"
"Health Care Subrogation in the Wild West – The Gold Rush: Understanding Recoveries in Today’s Anti-Subrogation States"
"The 2006 Trilogy of Subrogation"
"The Best of the Best: The Top Ten Ways to be the Best In-House Subrogation and Reimbursement Unit in the Country"
"Mock Arguments in Health Care Subrogation: Important Strategies in Today’s Environment"
"Phone a Friend: Making Every Subrogation Phone Call a Pleasant and Successful Experience"
"Chasing Waste and Saving Health Care Dollars"
"The Good, The Bad, and The Funny: The Year’s Best Subrogation Stories"
"Subrogation – Best Practices: Negotiating a Subrogation Case: Tips, Tactics & Strategies"
"Health Care Subrogation Law Update 2004"
"Negotiating a Subrogation Case: Tips, Tactics, & Strategies"
"Traversing the Subrogation Triangle: Getting Your Subrogation 'Ship' From Port to Port While Navigating Between Federal Statutes, State Laws, and Plan Provisions"
Self Insurance Institute of America, Inc.
"Subrogation in the New Millennium – Still Tracking Money from a Century Ago"
"Exhibitor Presentation: Presentation of Subworks"
"Handling Subrogation Claims After Great-West v. Knudson"
"Health Care Subrogation After Great-West Life v. Knudson"
"Health Care Subrogation After Great-West Life v. Knudson: Strategies for the Future"
"Health Care Subrogation Trilogy: Sorting Out the Three Cases Decided by the Supreme Court in 2006 in Order to Maximize Subrogation Recoveries in 2007 and Beyond"
Legal Affairs Bulletin, Blue Cross Blue Shield Association, No. 974 (March 2007). "Who Shot Kundson? The Supreme Court’s Holding in Sereboff v. MAMSI Proves to Be the Health Care Cliffhanger of the Millenium?" The Subrogator, National Association of Subrogation Professionals (Spring/Summer 2006). "Health Care Subrogation Smorgasbord: How the Courts Interpreted Great-West Life v. Knudson in 2003: Targeting the ‘Problem’ Cases, and the Continued Primacy of Well-Drafted Plan Provisions"
Legal Affairs Bulletin, Blue Cross Blue Shield Association, No. 936 (January 2004). "Knocking Down the Knudson Barrier"
The Subrogator, National Association of Subrogation Professionals (Winter 2003). "Protecting the Funds After Knudson: A Road Map to Success in Five Easy Steps"
The Subrogator, National Association of Subrogation Professionals (Spring/Summer 2002).